Eleven 3/16″ hexagons on a 1″ hexagon, with space for more. The orange hexagons are all from the same fabric. Unfortunately, I don’t seem to have another section with the dots, so the flower from this orange fabric will have one plain petal. 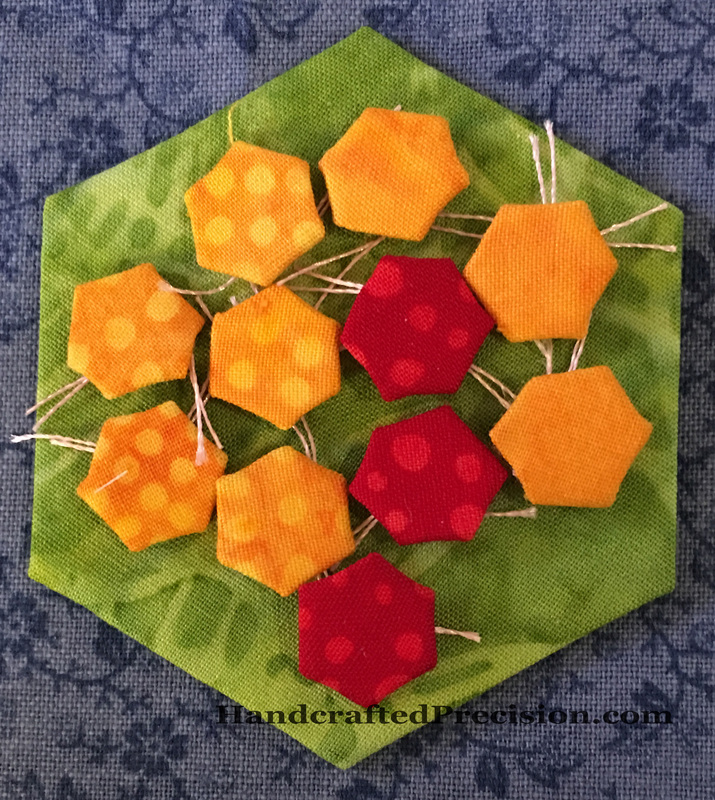 Yes, I’m going to make a 3/16″ hexagon grandmother’s flower garden needle book. How big? How will I finish it? No idea yet. I’m going to have at least two orange flowers, one red, one yellow, two blue, and one purple. That’s seven flowers, which is not a great number for this, so I’ll probably add another purple and one pink. I don’t tend to buy pink fabric, but I’m sure I have enough scraps on hand from my eBay haul for six 3/16″ hexagons. This entry was posted in English Paper Piecing, Grandmother's Flower Garden, Hand Sewing, Hexagons and tagged Minuscule Hexagons on December 30, 2016 by HP.